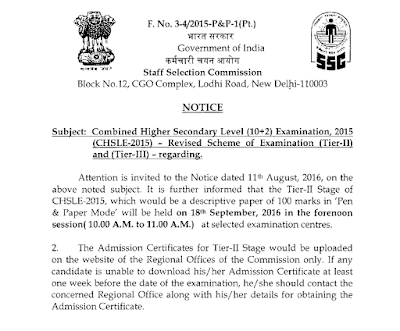 Dear Aspirants, SSC has released a notification regarding Tier-II exam. Tier-II exam would be a descriptive paper of 100 marks in Pen and paper Mode. Exam Date is 18th September 2016 in 10 to 11 am shift.